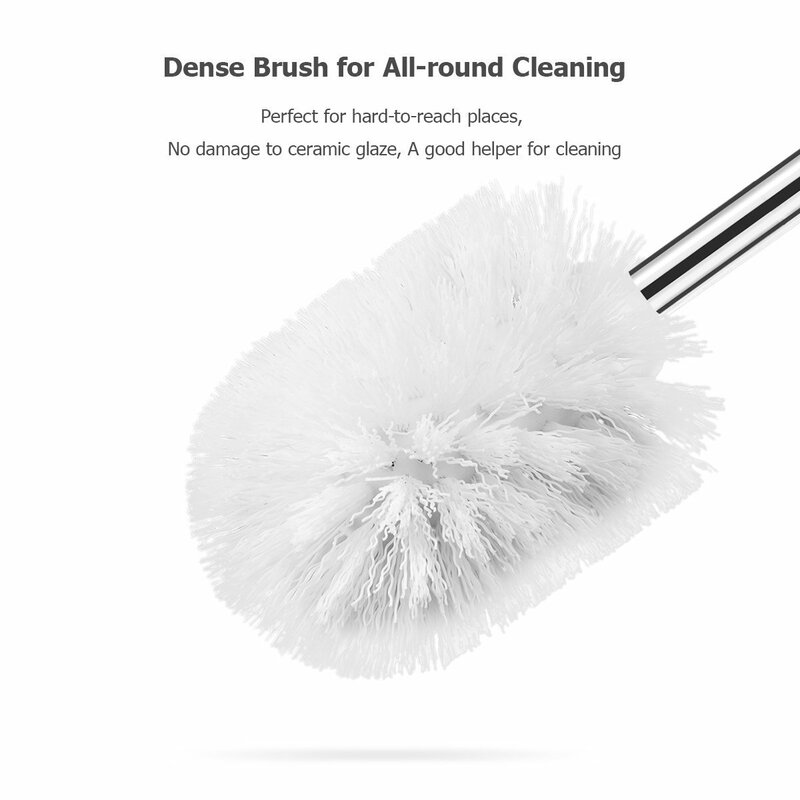 The nicest-looking toilet brush you can buy is also the toughest and hardest-working! 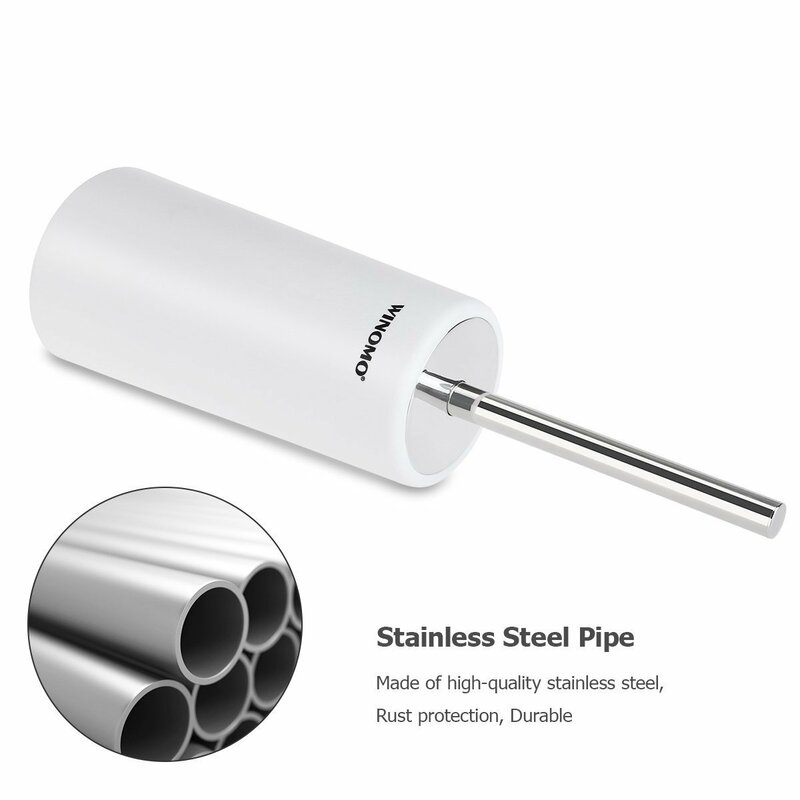 Sits in its own holder when it's not in use, and the stainless steel handle has a built-in cover for the holder. Nothing shows except clean white plastic and shining stainless steel. The brush has tough, strong bristles that will leave your toilet immaculate and shining with or without cleaner, but will never scratch the porcelain. The long stainless steel handle gives you good reach. Together with the accompanying holder, this is an elegant set that will blend in and look great in any bathroom. Owning a toilet-cleaning brush is one of the dreary necessities of life, but that doesn't mean the brush itself has to be dreary or drab. Here's a toilet brush that not only does its job as well as or better than any other, but also has a sleek and stylish appearance when it's not in use. 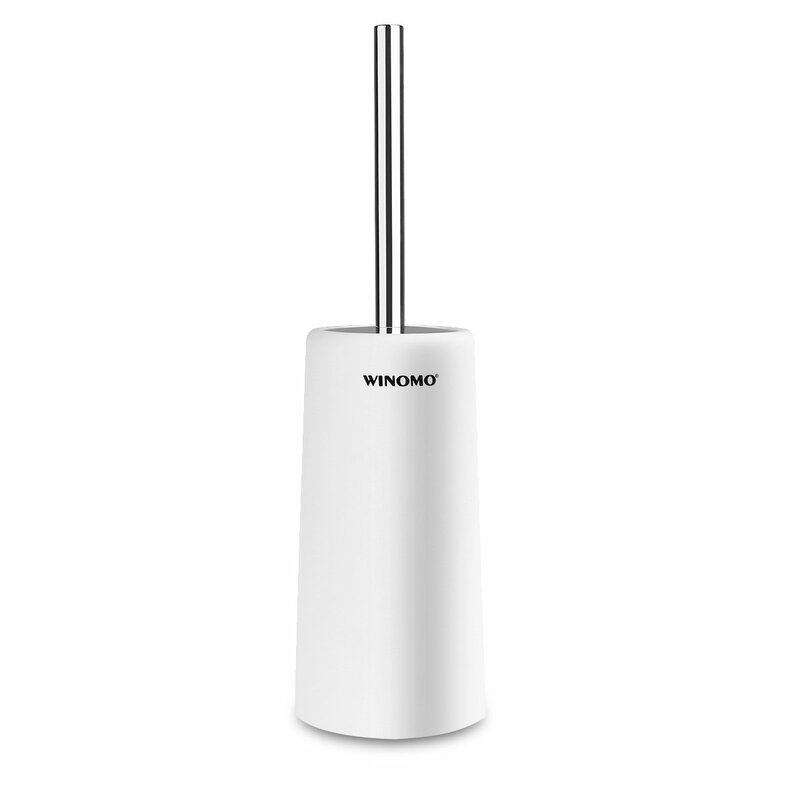 - The WINOMO toilet brush comes with its own custom-fitted canister holder of gleaming white plastic, and the stainless steel handle of the brush has a built-in lid for the holder. - When you're done using the brush, just drop it into the holder and it becomes a neat, enclosed unit. Clean, sanitary, compact and elegant. Nothing shows except the shiny white plastic and the silvery stainless steel. And of course the holder catches any drips from the brush as well. - While it's in use, the lid acts as a splash guard, putting a barrier between you and a dirty job. The bristles at the business end of the brush are tough enough to last for many years of use, and the stainless steel handle is all but indestructible. You probably never thought of a toilet brush as a purchase that could dress up your home and your bathroom, but now it is! This WINOMO product is sold with a full money-back guarantee. If you're dissatisfied with your purchase for any reason, contact us for a replacement or refund.